Hanging Trash Bag Holder locks reused grocery bags, creating a strong and tight steal that can hold up to 10 pounds! 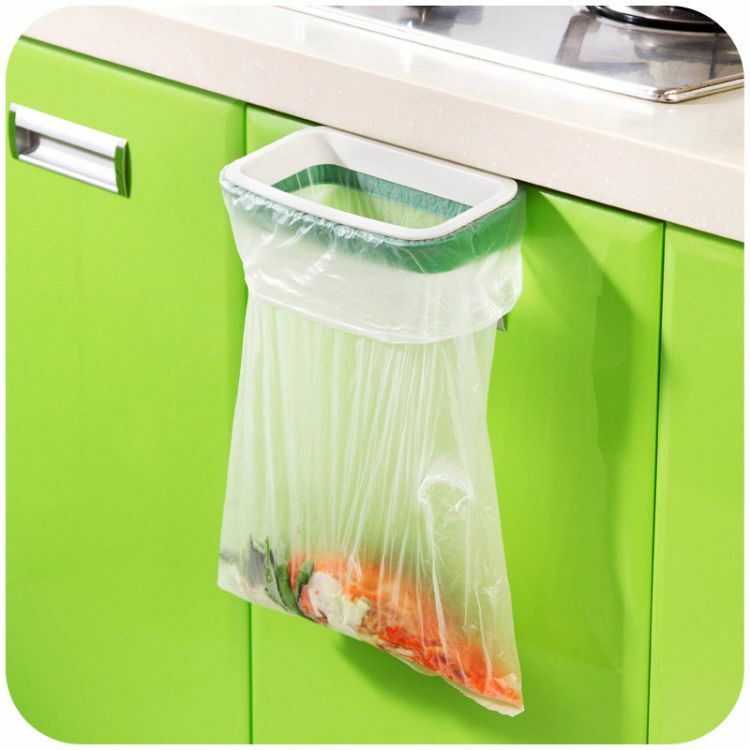 When you're doing cooking, throw rubbish directly without opening trash cover! HANG ANYWHERE - Can be used anywhere - can be hung on the door, cabinet door, drawer door or outdoor areas like barbecue or workshops. Saves space, keeps the area clean and tidy. EASY INSTALL AND REMOVE - Two steps, simple install and removal. Check out the video to see more! GREAT FOR PLACE - Great for kitchens, laundry rooms, utility rooms, pantries and bathrooms. SELLING FAST - ORDER NOW & SAVE!